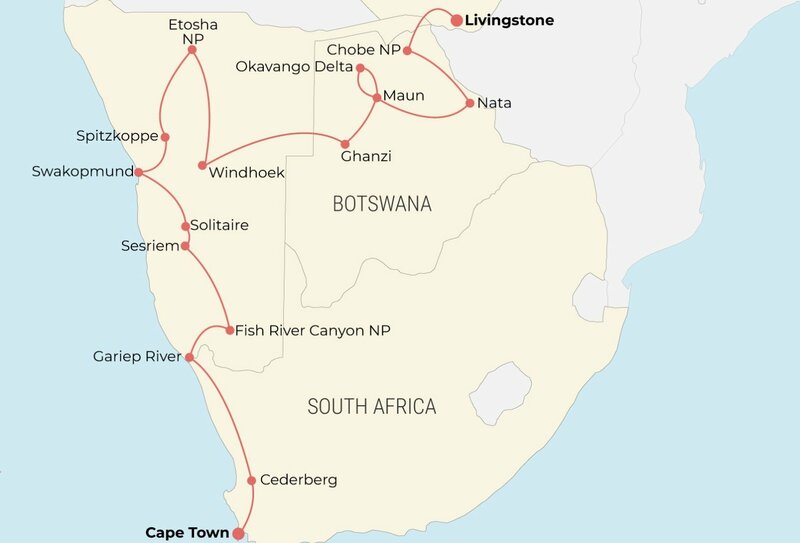 Discover the best of Southern Africa in 19 days on this epic group adventure tour. 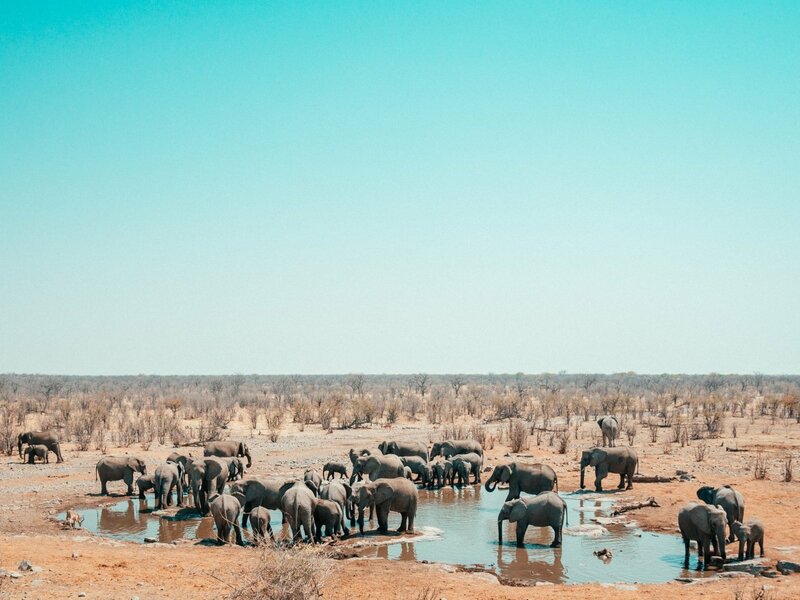 Spot elephants, lions, rhinos and more on safari through Etosha National Park, climb giant sand dunes in the Namib Desert, wander Cape Town's lively streets, and be awe-struck by the mighty Victoria Falls, all in one action packed trip! 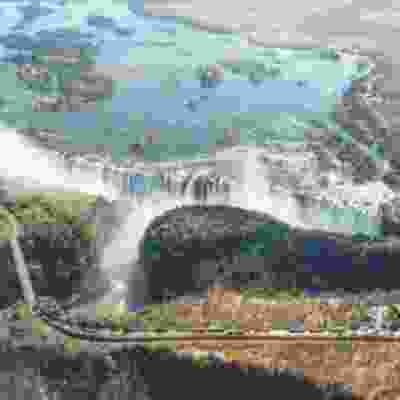 Journey to one of the world's largest waterfalls - Victoria Falls! Supercharge your trip with an optional adventure pass! 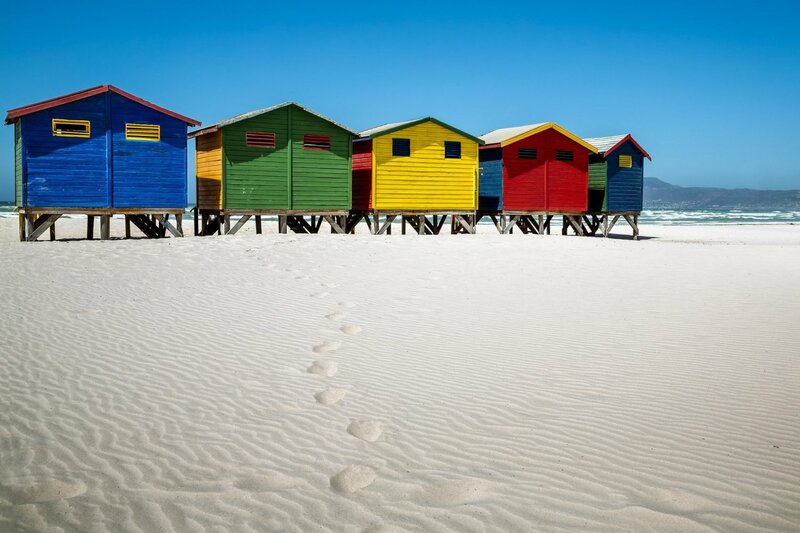 Day 1: Hello Cape Town Begin your adventure in beautiful South Africa and experience the cosmopolitan vibes of Cape Town, surrounded by the Atlantic Ocean and Table Mountain. Set up camp as you overlook the Cederberg Mountains and relax under the stars. 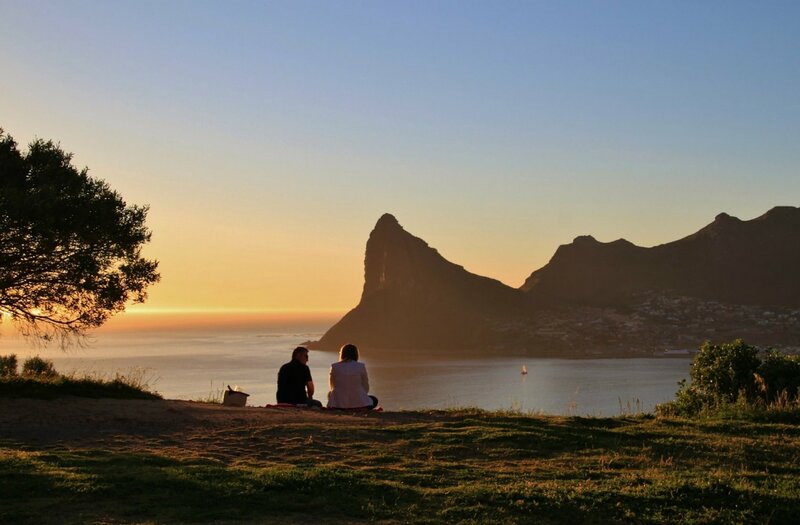 Begin your adventure in beautiful South Africa and experience the cosmopolitan vibes of Cape Town, surrounded by the Atlantic Ocean and Table Mountain. Set up camp as you overlook the Cederberg Mountains and relax under the stars. Day 2: The Gariep River Wake up this morning and continue north towards the Namibian border. Enjoy a swim in the Orange River before laying back and admiring the tranquil views of the beautiful Richtersveld night sky. Wake up this morning and continue north towards the Namibian border. 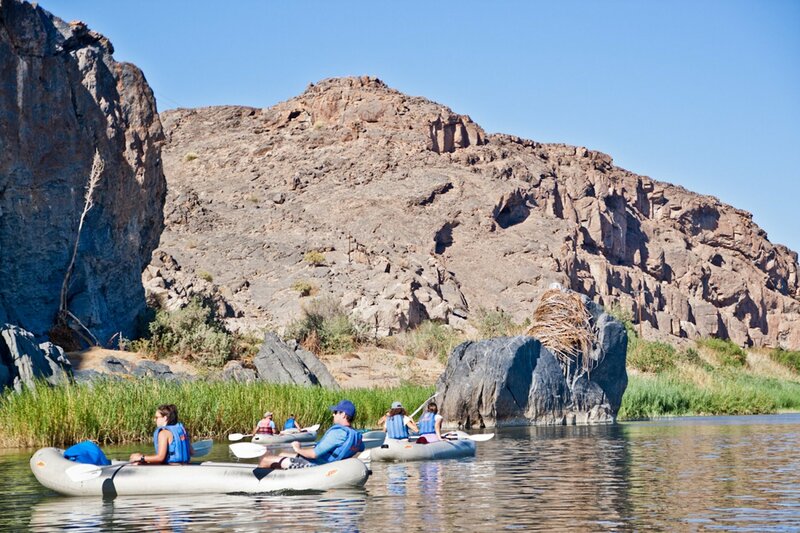 Enjoy a swim in the Orange River before laying back and admiring the tranquil views of the beautiful Richtersveld night sky. 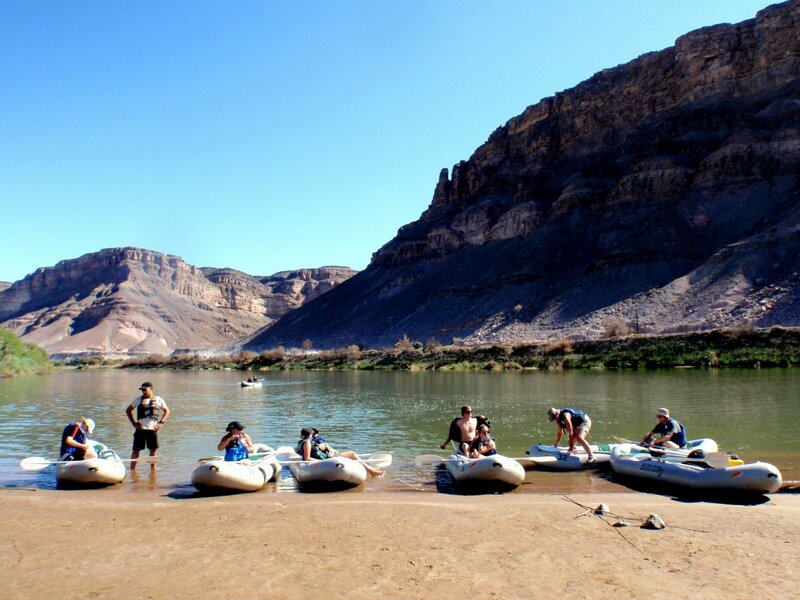 Day 3: Fish River Canyon Take a glorious venture to the Fish River Canyon and be stunned by one of the largest canyons in the world. 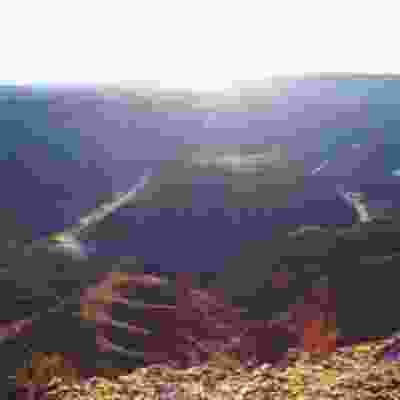 Stop by the picturesque Hells Corner, then sit and watch the incredible beauty of the landscape. 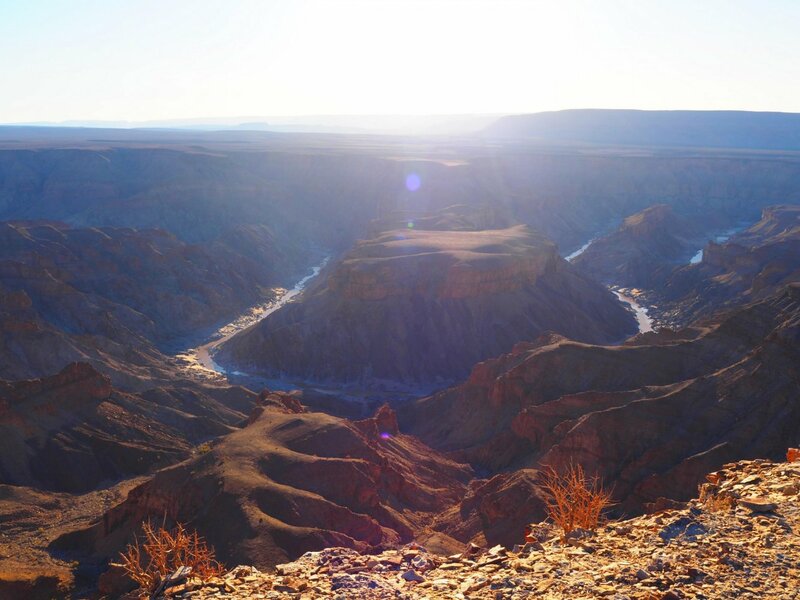 Take a glorious venture to the Fish River Canyon and be stunned by one of the largest canyons in the world. Stop by the picturesque Hells Corner, then sit and watch the incredible beauty of the landscape. 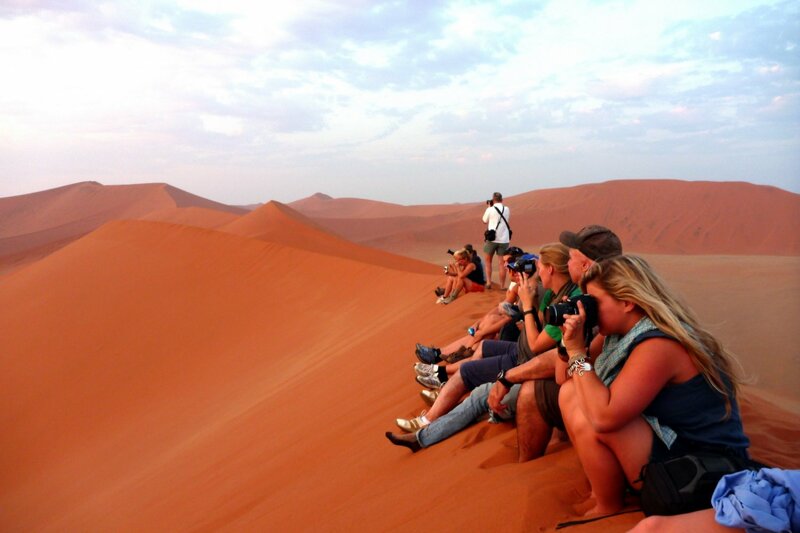 Day 4: Sesriem Area See the gateway to the gorgeous Namib Naukluft National Park, famously known as the Sesriem Area. 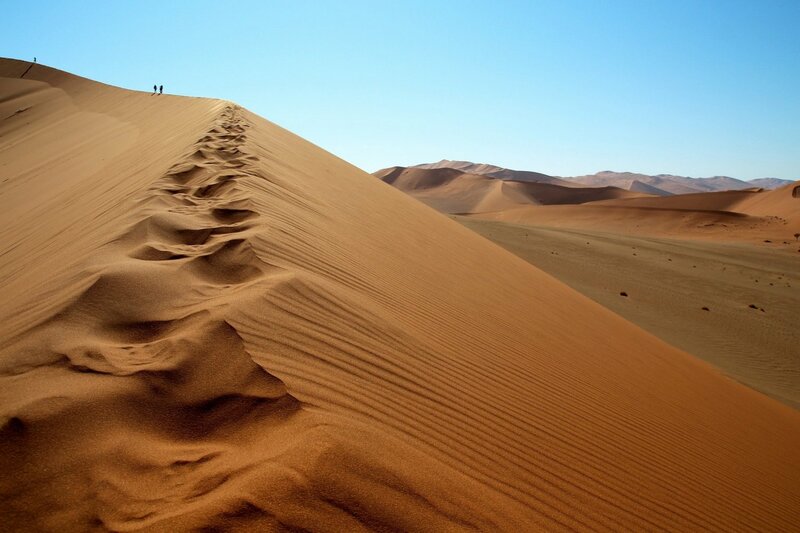 Discover the world's tallest sand dunes and one of the oldest deserts, before setting up camp beneath a starry sky. 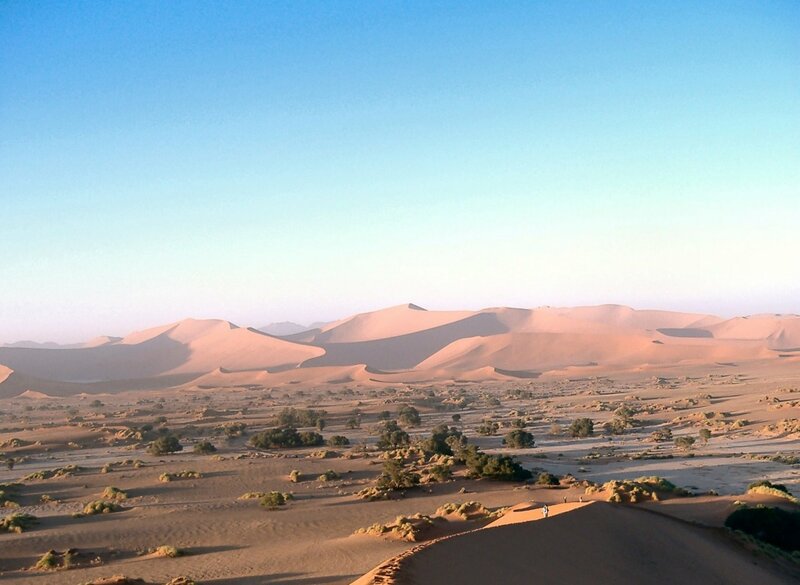 See the gateway to the gorgeous Namib Naukluft National Park, famously known as the Sesriem Area. 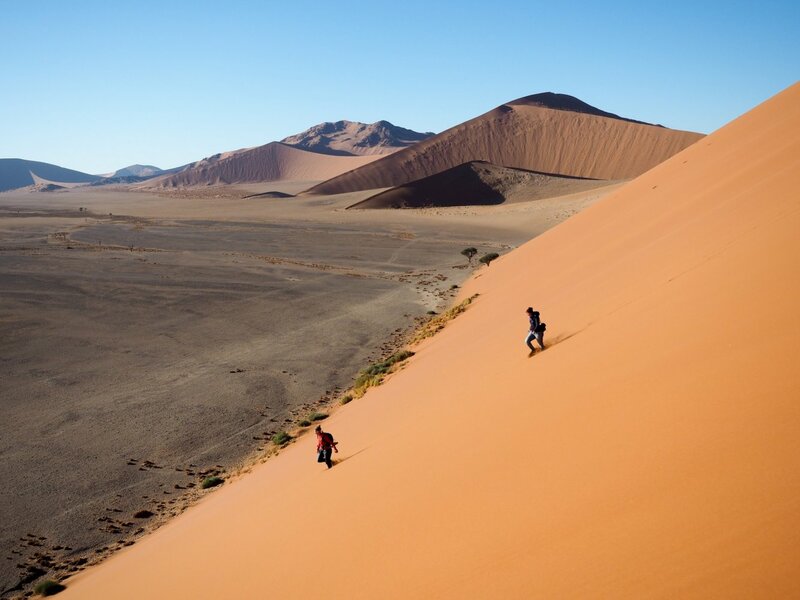 Discover the world's tallest sand dunes and one of the oldest deserts, before setting up camp beneath a starry sky. 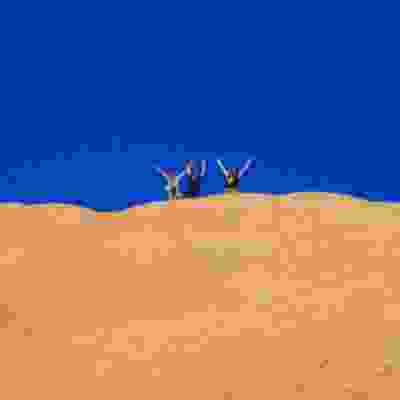 Day 5: Sossus On Foot Camp Hike to the incredible Dune 45 before a magnificent nature walk to Dead Vlei. 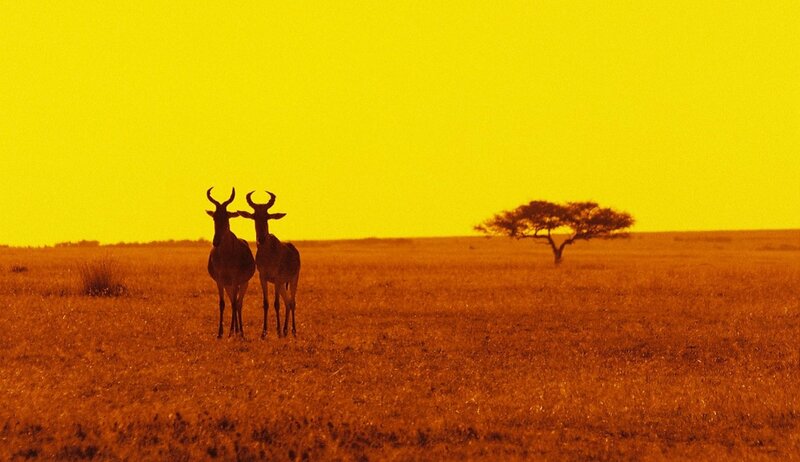 Feast your eyes on Namibia's magical natural environment. 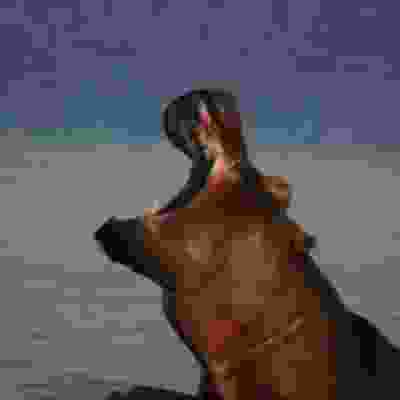 Then make your way to the town of Solitaire (the smallest in Namibia) and drift away into a peaceful sleep. 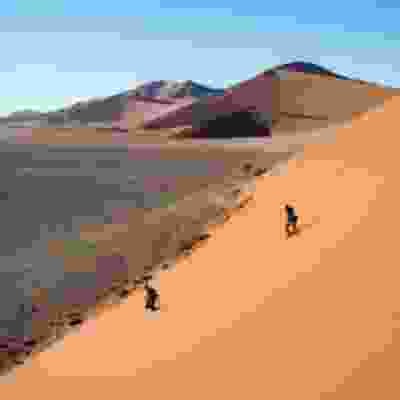 Hike to the incredible Dune 45 before a magnificent nature walk to Dead Vlei. 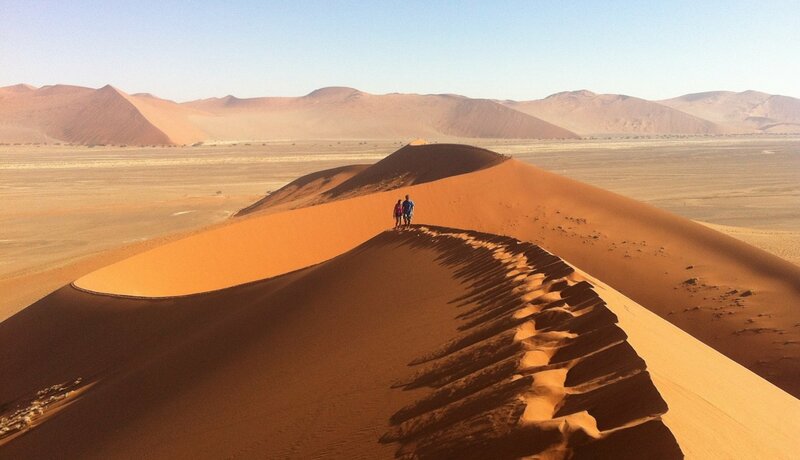 Feast your eyes on Namibia's magical natural environment. Then make your way to the town of Solitaire (the smallest in Namibia) and drift away into a peaceful sleep. 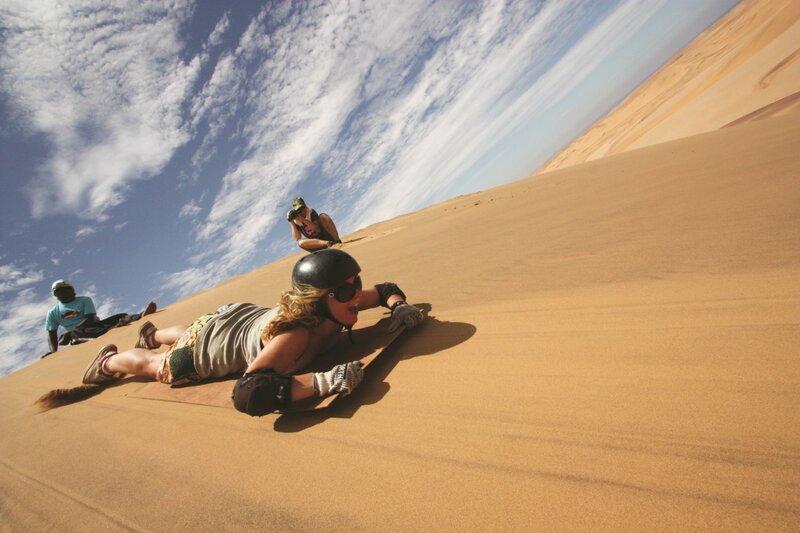 Day 6 & 7: Swakopmund Journey towards the Atlantic coast for the next two nights with your group. 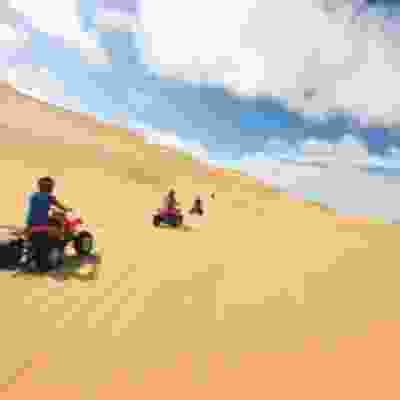 Venture across the Tropic of Capricorn and go exploring with fun desert-based optional adventures. Gaze in wonder at the glistening ocean and walk through the cafe culture of this breathtaking German-style town. Journey towards the Atlantic coast for the next two nights with your group. 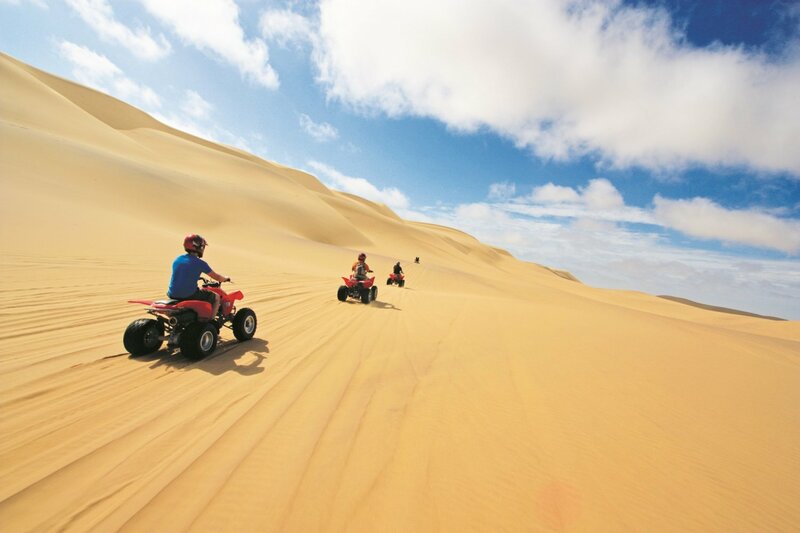 Venture across the Tropic of Capricorn and go exploring with fun desert-based optional adventures. Gaze in wonder at the glistening ocean and walk through the cafe culture of this breathtaking German-style town. 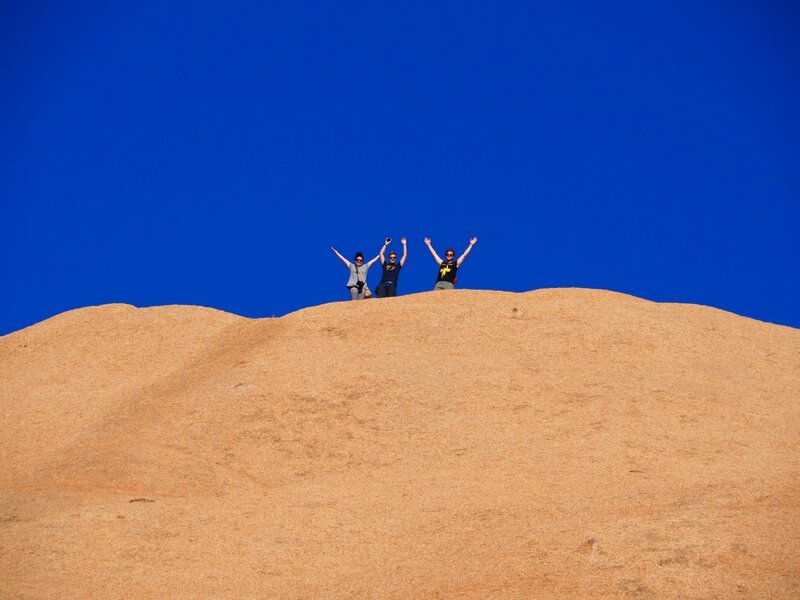 Day 8: Spitzkoppe Say goodbye to the coastline as you travel to the breathtaking Damaraland region to discover Spitzkoppe. 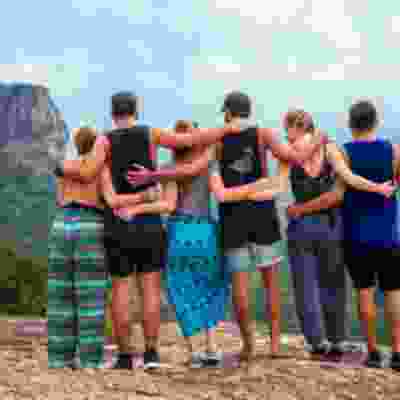 View the ancient bushman paintings on the sides of strange rocks and gaze in awe at the epic boulders jutting out at approximately 1800m above sea level. 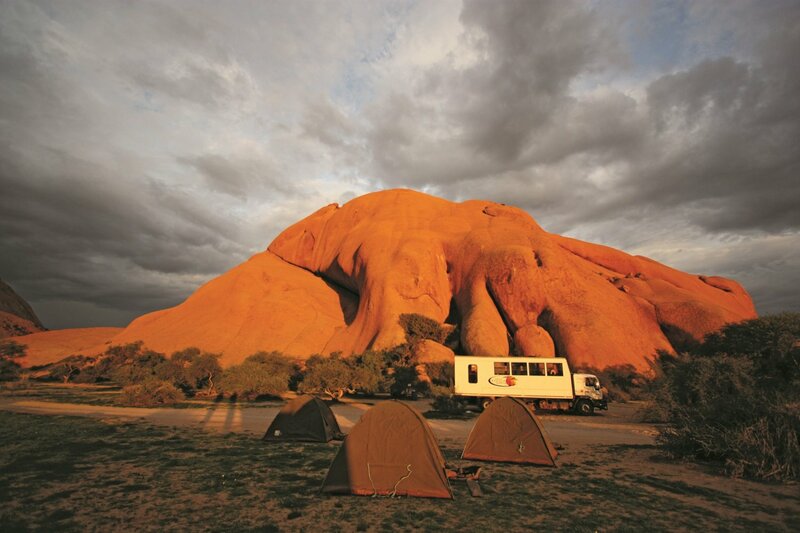 Say goodbye to the coastline as you travel to the breathtaking Damaraland region to discover Spitzkoppe. 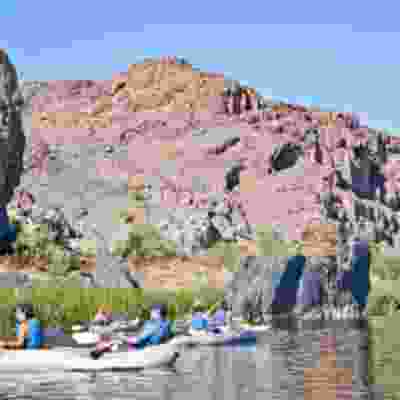 View the ancient bushman paintings on the sides of strange rocks and gaze in awe at the epic boulders jutting out at approximately 1800m above sea level. 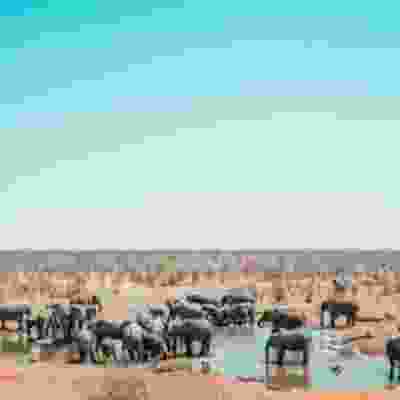 Day 9 & 10: Etosha National Park Say hello to the mammoth reserve of Etosha National Park and experience the African lifestyle for yourself. 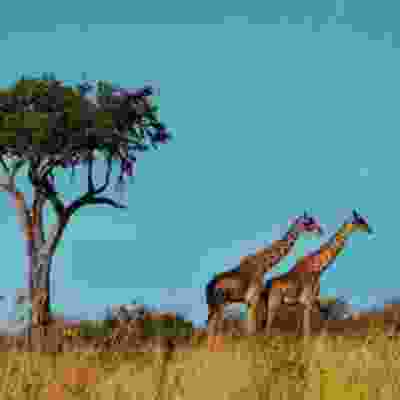 Spot giraffes and hyenas dotted around the area and listen to the soundscape of Africa beneath a blanket of stars. 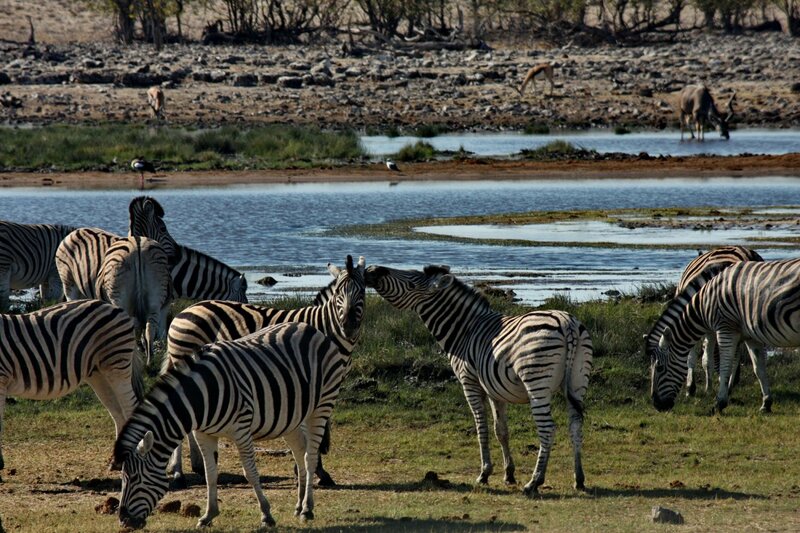 Say hello to the mammoth reserve of Etosha National Park and experience the African lifestyle for yourself. 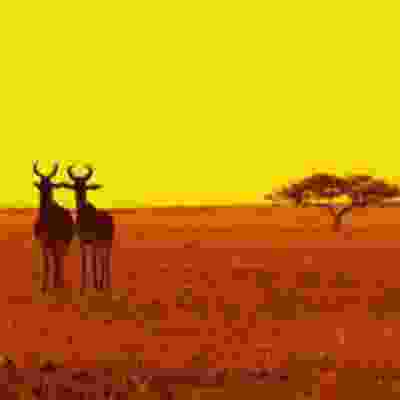 Spot giraffes and hyenas dotted around the area and listen to the soundscape of Africa beneath a blanket of stars. Day 11: Windhoek Hit the road south towards Windhoek, the capital of Namibia, situated between the Khomas Highland, Eros Mountains and Auas. Soak up the atmosphere of the nightlife and enjoy some dinner in a local restaurant. Hit the road south towards Windhoek, the capital of Namibia, situated between the Khomas Highland, Eros Mountains and Auas. Soak up the atmosphere of the nightlife and enjoy some dinner in a local restaurant. 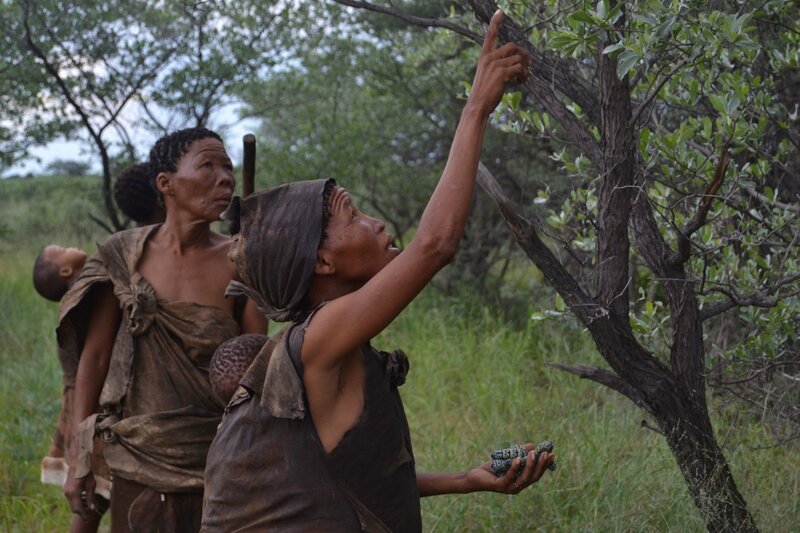 Day 12: Ghanzi Arrive in the desolate area of Ghanzi and meet the San Bushmen before a guided bush walk. 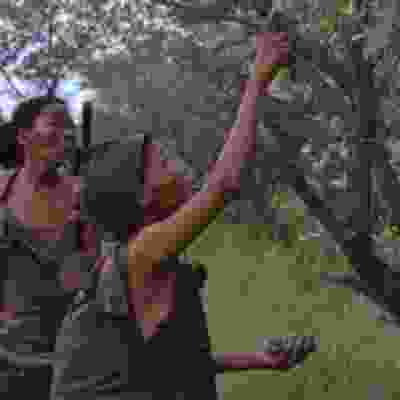 Experience their fascinating culture and gain an incredible insight into an ancient way of life. 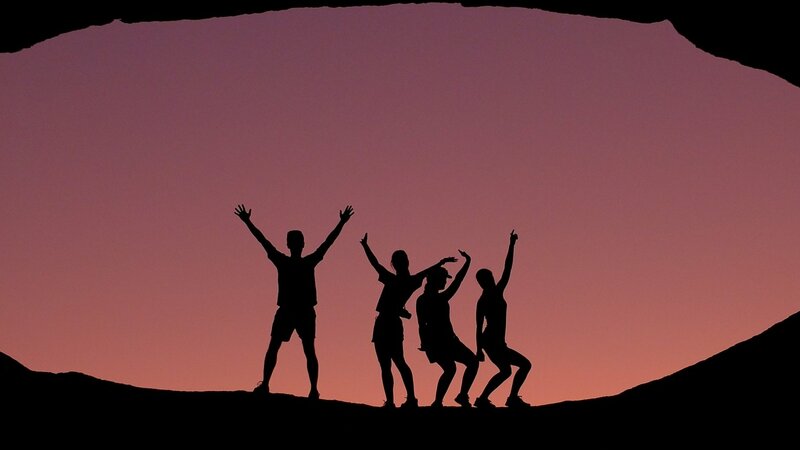 This evening, enjoy ancient dance rituals into the night. 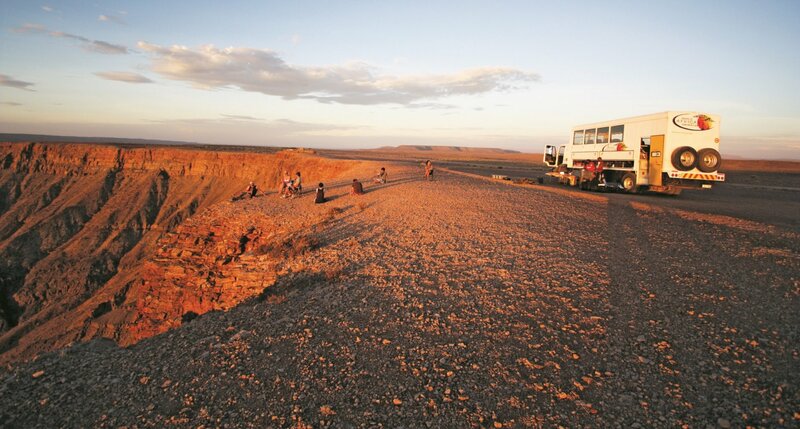 Arrive in the desolate area of Ghanzi and meet the San Bushmen before a guided bush walk. Experience their fascinating culture and gain an incredible insight into an ancient way of life. 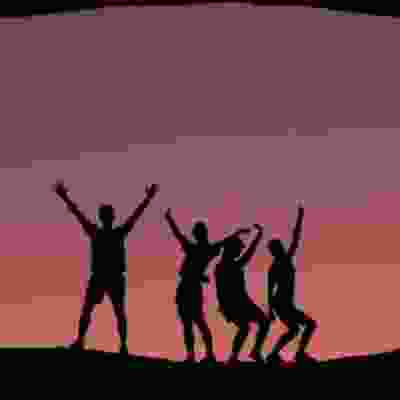 This evening, enjoy ancient dance rituals into the night. 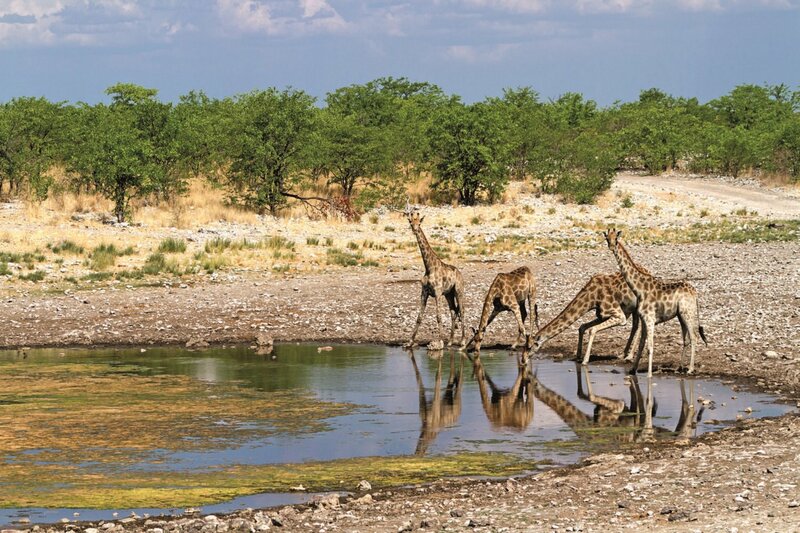 Day 13, 14 & 15: Maun Discover the incredible mix of native dwellings and contemporary architecture, famously known as a Wild West town, with an abundance of grazing red lechwe antelope alongside donkeys, cattle and goats. 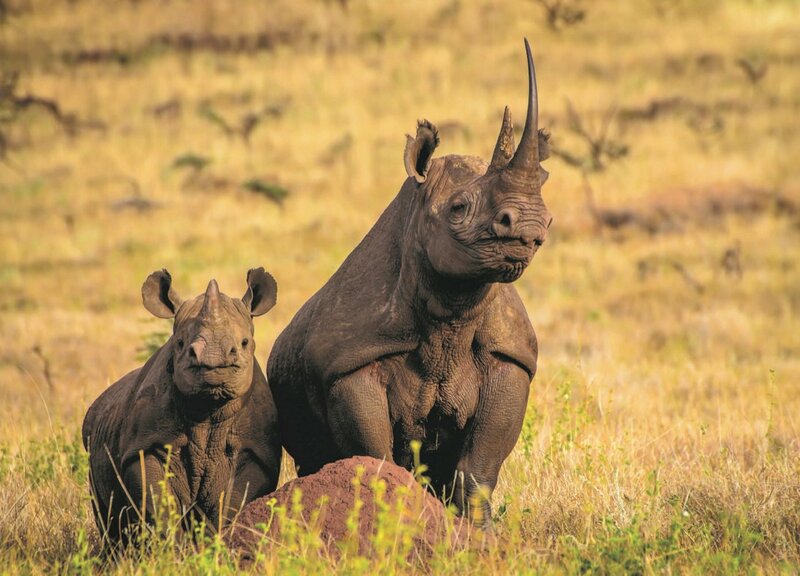 Discover the incredible mix of native dwellings and contemporary architecture, famously known as a Wild West town, with an abundance of grazing red lechwe antelope alongside donkeys, cattle and goats. 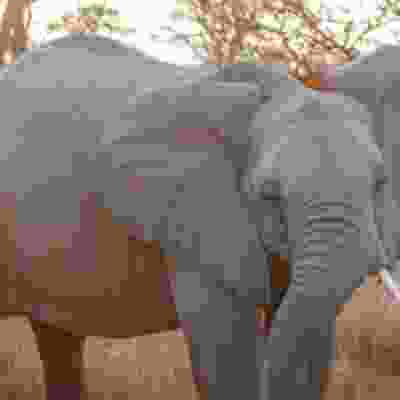 Day 16: Elephant Sands Journey towards Nata, passing between the Nxai and Makgadikgadi Pans before stopping by one of Africa's most famous trees - the Baobab! Arrive at the spectacular Elephant Sands Lodge and see wild elephants roaming freely from one waterhole to the next. 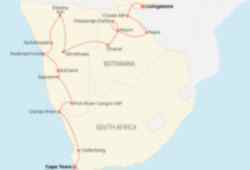 Journey towards Nata, passing between the Nxai and Makgadikgadi Pans before stopping by one of Africa's most famous trees - the Baobab! Arrive at the spectacular Elephant Sands Lodge and see wild elephants roaming freely from one waterhole to the next. 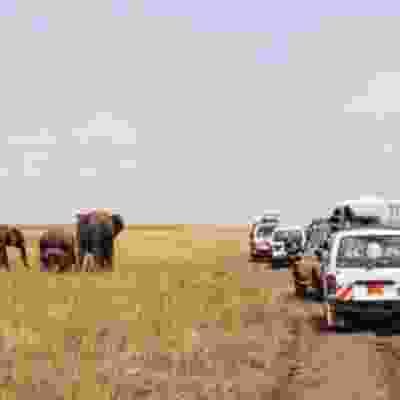 Day 17: Kasane Venture to the gateway to Chobe National Park, home to buffalo, hippo, birdlife, elephants and lions. See wild hippo swimming around and watch elephants bathing and drinking by the rivers' edge on a fantastic river cruise. 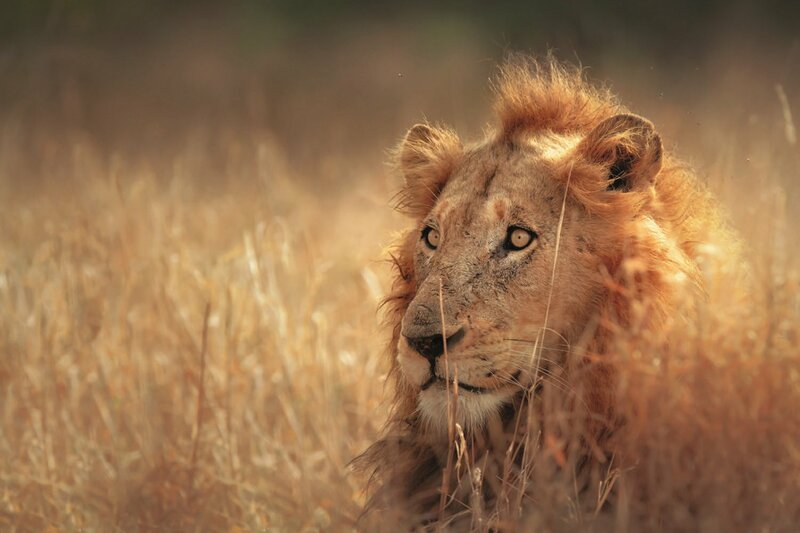 Venture to the gateway to Chobe National Park, home to buffalo, hippo, birdlife, elephants and lions. 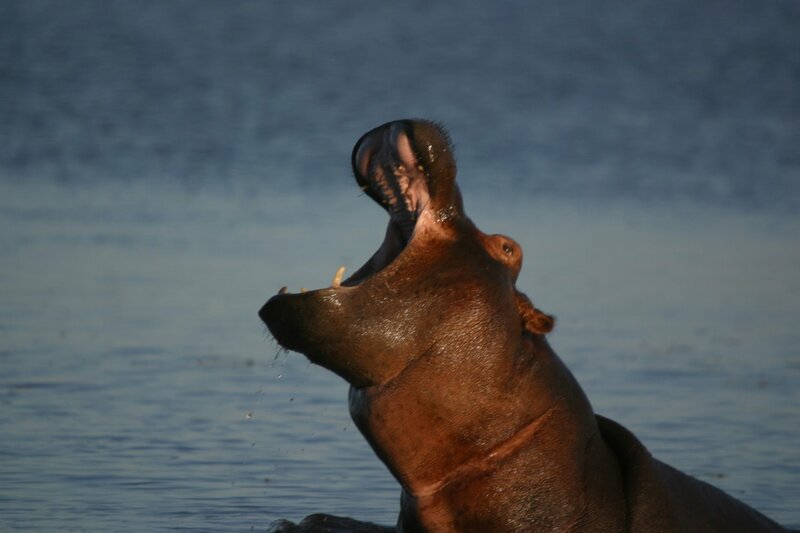 See wild hippo swimming around and watch elephants bathing and drinking by the rivers' edge on a fantastic river cruise. 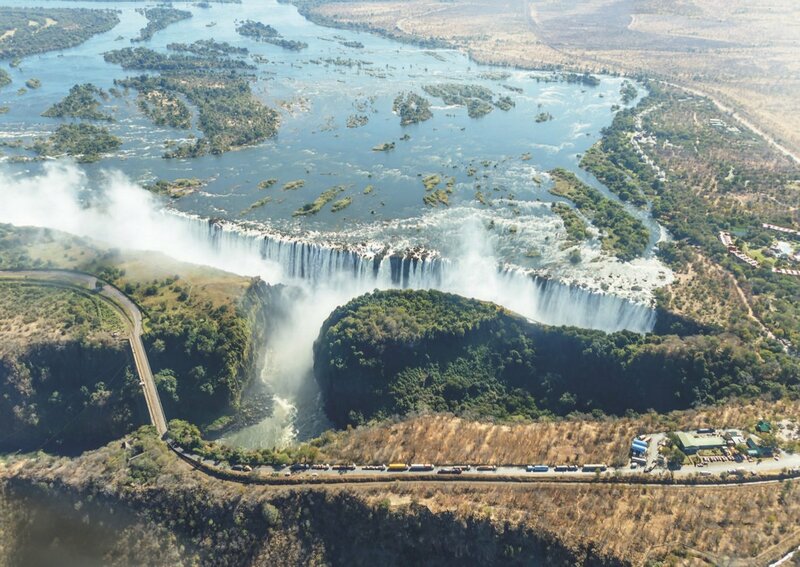 Day 18: Victoria Falls Hop on a ferry across the Chobe and Zambezi Rivers into Zambia. After setting up camp at the incredible Waterfront campsite, enjoy some optional activities including abseiling, gorge swinging, horse riding, scenic flights, canoeing and rafting! Hop on a ferry across the Chobe and Zambezi Rivers into Zambia. After setting up camp at the incredible Waterfront campsite, enjoy some optional activities including abseiling, gorge swinging, horse riding, scenic flights, canoeing and rafting! Day 19: Goodbye Southern Africa This African adventure comes to an end today. 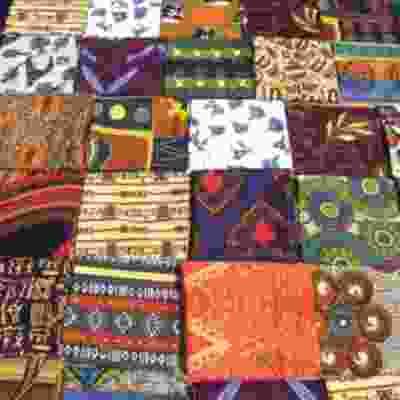 Spend some time exploring the local projects and buying some souvenirs at local markets before jumping on a flight back home. This African adventure comes to an end today. 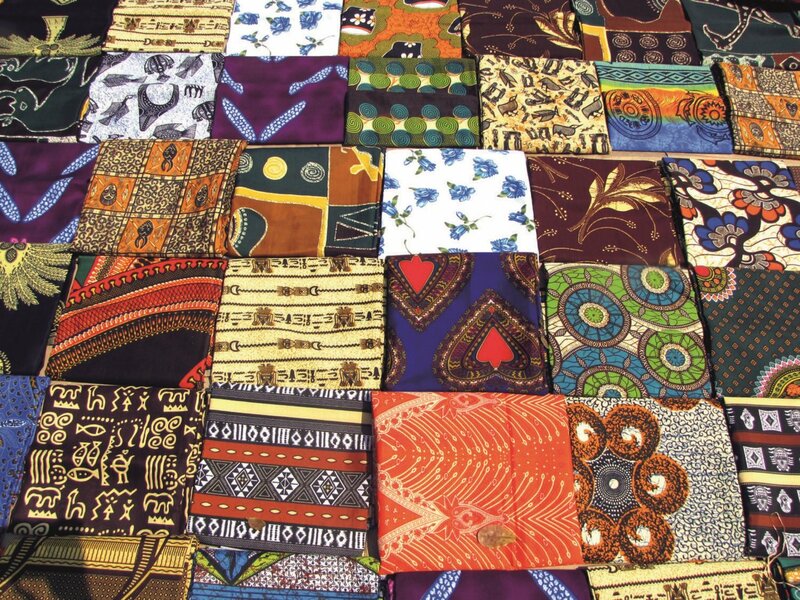 Spend some time exploring the local projects and buying some souvenirs at local markets before jumping on a flight back home. 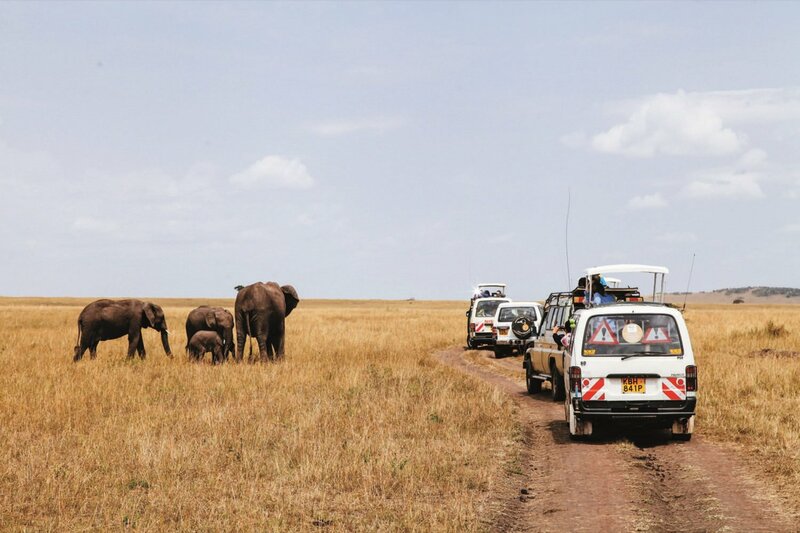 15 nights are in 2-person dome tents, 2 nights in a dorm and 1 night in en suite tented camp. 18 breakfasts, 15 lunches & 14 dinners included on this trip. Please note, if you would prefer to stay in hotels, rather than camp, there is an option to upgrade on this tour for extra cost. Please contact a travel advisor for more information. 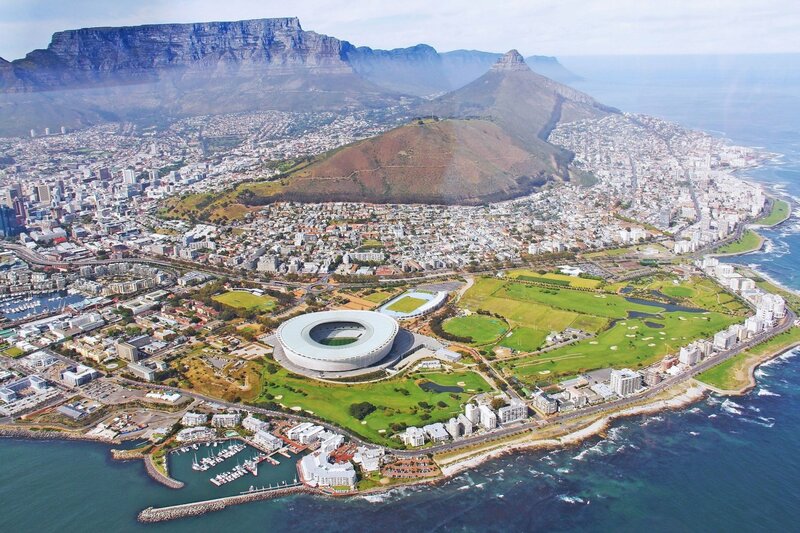 This trip starts in Cape Town, South Africa. The trip has a pre-departure meeting at 6pm the evening before the start date, and the tour begins on day 1 at 8am. 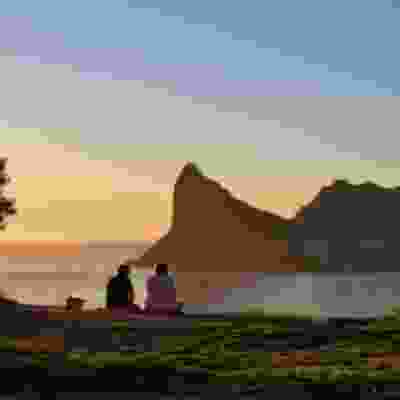 Due to this, you will need to arrive into Cape Town at least the day before the start date so you can attend the meeting, and we can help arrange extra nights of accommodation. 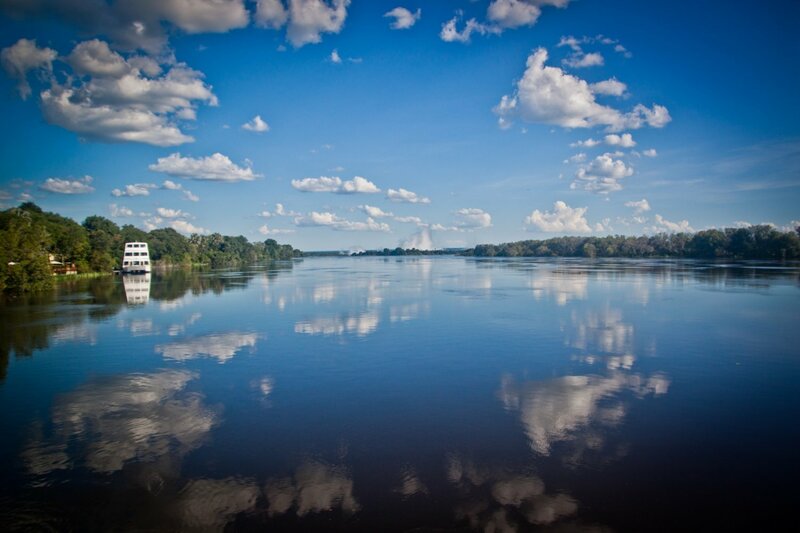 On day 19, depart anytime in the afternoon from Livingstone in Zambia.